Have you ever wanted to add an extra layer to your interior, but couldn’t work out what’s missing? The most likely reason is that your home is lacking in texture. Texture is the simple element which brings warmth, style and personality to your home. 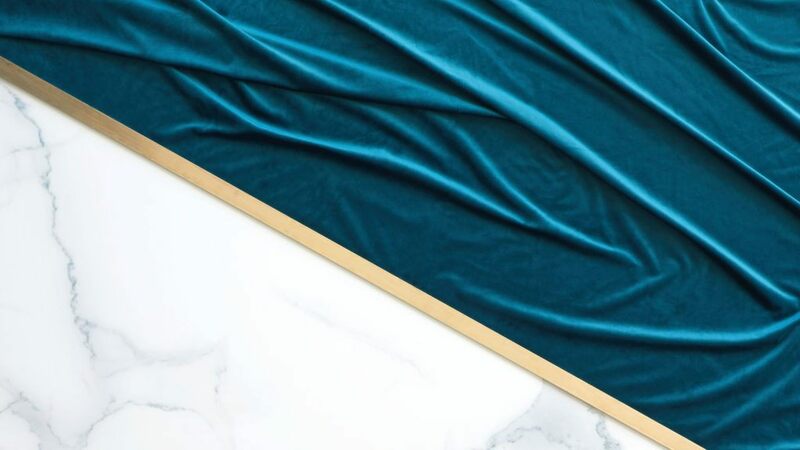 Our Stylist shares the top 5 factors to consider when adding texture to your interior, and how to nail that mix and match trend. It’s up to you if you buy a real sheepskin rug or a faux one, either works brilliantly to add a softness to your home. A cowhide rug can help soften wooden floors while a sheepskin placed over a plastic chair brings comfort and warmth. If you’re lucky enough to have original floorboards, rustic brick walls or exposed beams, then you’re already halfway there. However, if you are in a more modern home, you can create the same feel by introducing these natural elements through your furniture and floors. Wood, rattan, stone and concrete are great for mix and matching with modern finishes. The Terni and Bella Dining Set sits perfectly against this slate wall. The soft sheen from the table top balance out the rough wall texture. 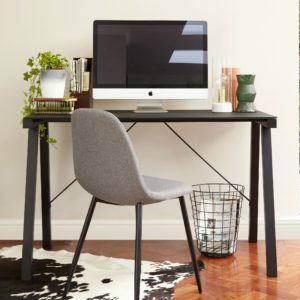 Top Tip: 2019 sees the start of a huge Rattan interior trend. From chairs and side tables to lampshades and headboards, there’s nothing Rattan hasn’t touched. Start by adding a subtle hint of rattan, such as a storage basket or plant stand to see how you feel about it. 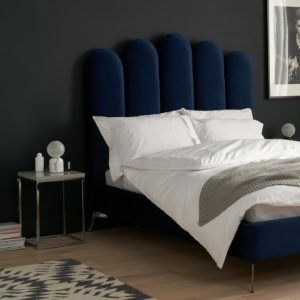 Contrast with smooth velvets and painted furniture for an ultra-chic look. An unstoppable trend in modern interior design is the use of metallic materials in our homes. We have seen the rise of rose gold, brass and now more weathered metallic textures being introduced. From simple details in our furniture to statement gold kitchens, by using metallics in your home you instantly add a modern luxe edge. 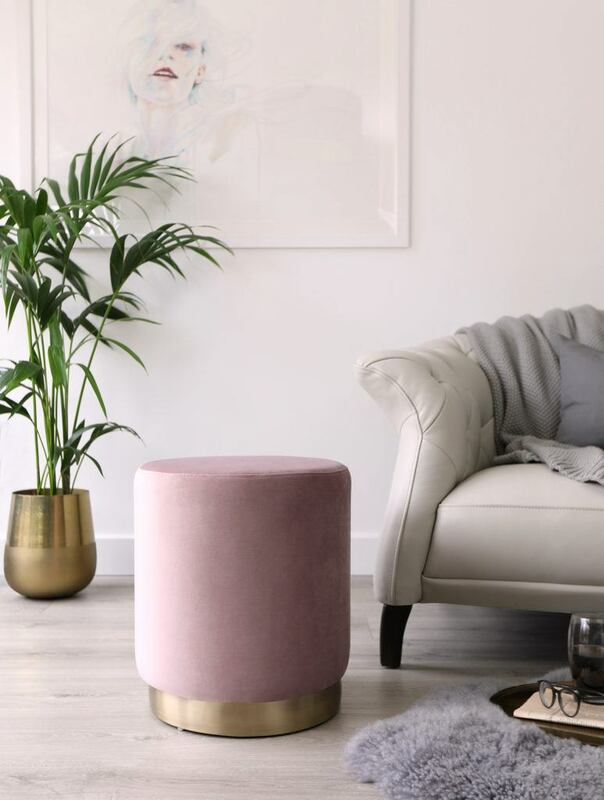 The Brushed Brass base of the Plaza stool adds a harder element to the soft blush pink velvet. Mixing and matching in one simple step! It’s no secret that it’s usually pretty chilly in the UK. Which is exactly why we all love a chunky knitted throw, or a heavy wool rug to make our homes feel extra cosy and snug. A soft knitted throw on the end of a velvet bed does wonders for clashing textures, while a wool rug on a flagstone tile floor adds warmth and stops you toes getting too chilly! Clash chunky throws with metallic finished and velvets for a soothing textur combination as seen here on the Mellow Velvet Bed. You may think glass is not so much of a textural element to use in our homes, but you’d be wrong! Adding glass its the best way to add texture to your home. 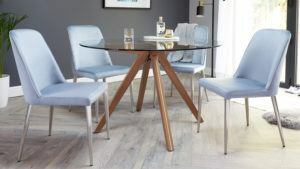 A simple glass dining table on a wooden floor with leather dining chairs is a great way to show off the different finishes! Glass furniture allows light to float freely around the room while reflecting windows and textures placed on top. 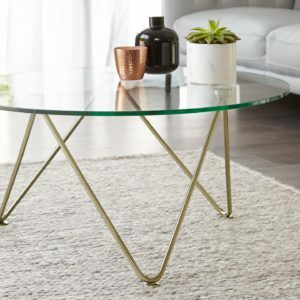 Our Ripple Glass and Brass coffee table sits perfectly on this chunky wool rug the glass reflects the metallic on the surface while remaining light and airy. Fresh plants breath life and colour into your home. What’s more, there are so many varieties of houseplants, with all different colours, textures and shapes and sizes you’re sure to find the perfect pot plant to suit your style. Simple palms work wonders in minimal homes, while textured cacti sit beautifully in scandi homes. Greenery adds colour as well as texture to the Aria sideboard. 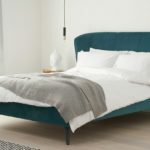 Modern colour trends are predicting green to be a huge interior colour for 2019. From deep emeralds to silvery eucalyptus shades, keep your eyes peeled for more greenery coming soon! As a stylist, I quite often get asked how to add texture to a white room. With such a large percentage of us living in rented accommodation, you’re very limited to how much you can decorate. So, instead of seeing your white home as restrictive, see it as a blank canvas to make your own through adding texture! 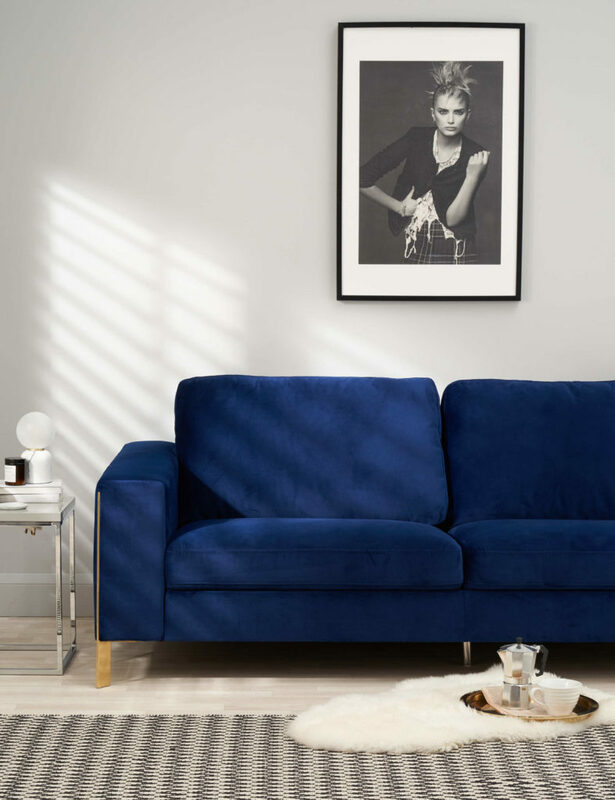 The Effie sofa packs a punch with the bright Velvet texture and the sleek Brass detailing in the arm. Although you’re limited with decoration, you still have the freedom to furnish your home how you like. Choose furniture which really sparks joy and excitement, that will also bring much-needed texture to your blank canvas. Wooden Dining tables are an ideal option to bring interest to your home. The warmth and grain of the wood will inject colour and texture, while sitting effortlessly into a white interior. The new Valencia and Bay dining set does all sorts of things for texture clashing. 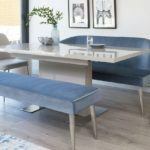 Top Tip: Our new Valencia Dining Table does all sorts of good things when it comes to adding texture. The glass top allows you to see the detail of the wooden leg, with an extra brass detail for a real modern touch. 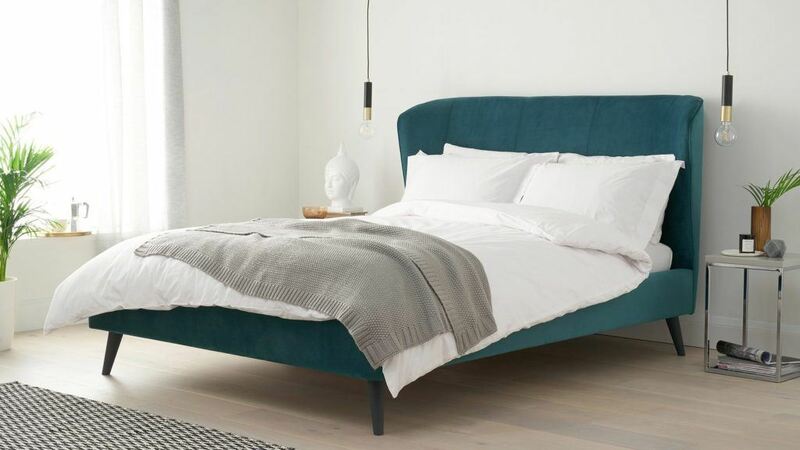 Or why not consider a velvet bed to bring a soft sheen to your bedroom. Team up with high gloss side tables to clash with each other and create an inviting, harmonious space to relax and unwind. Don’t be scared to get creative with textures. Layer a soft knitted throw over a smooth leather sofa, topped with a marabou feather cushion. This mix of different textures will bring an element of contrast to your home, which is vital when creating a personalised interior. Depending on your own personal style, when it comes to clashing textures there really is no right or wrong. Just remember less is more, unless you’re a maximalist, then more really is more! Have fun with it and create your own texture. Don’t forget to show us your style and use #mydanetti on Facebook and Instagram!